Westpac has officially ruled out funding Adani’s Carmichael Mine under it’s new, self-enforced, environmental policy - which includes arbitrarily assigning a carbon footprint to some, but not all, of its investments depending on how much flak they are copping on Facebook from unemployed keyboard warriors. This means that all 4 major Australian financial institutions have indicated they will not provide any funding to Adani for the controversial mine. Australian Prime Minister Malcolm Turnbull, a fervent supporter of the mine, has fronted the media and admitted he is “deeply disappointed” by Westpac’s decision. Many have called out the hypocrisy of the decision as official figures reported to the federal Clean Energy Regulator have carbon dioxide emissions from the bank’s operations at a staggering 148,723 tonnes in 2015-16, equivalent to the output of 30,000 cars. These numbers are more massive than manufacturing companies such as Arnott’s Biscuits, Foster’s, McCain, Parmalat Australia and even carmaker General Motors. Turns out that banking is the stinking, polluting and filthy business we all thought it was. Just a note: iSeekplant has done a carbon assessment of its operations and determined that its carbon footprint fluctuates wildly on a daily basis, influenced by its busted office air conditioning unit (if I have to send ONE MORE email to the body corporate, I’m going to lose it), how much the Google bots are doing a ‘deep crawl’, if the Dev guys are microwaving leftover curry in the kitchen and if one of our company Great Wall utes is in need of a service. All that said - we rate our carbon emissions as ‘stuff-all’ compared to the giant black cloud above Westpac. 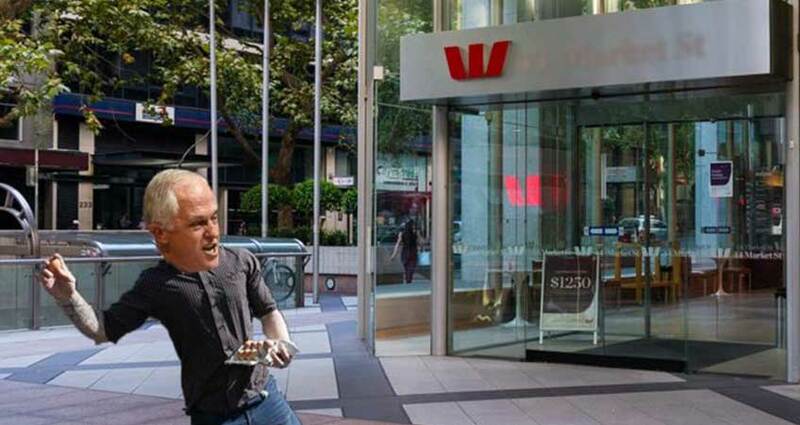 As of press time Westpac security has advised they will not be pressing official charges for the alleged ‘egging’. Gautam Adani is maintaining a swan-like above-the-water grace at the news, which some are calling a ‘blow’ to the project. For the rest of us hopeful agents of progress - we continue to wait for common sense to prevail, confident in the knowledge that some of the biggest and best mining projects in this country face enormous challenges and took 10 years to establish.